In Seoul, Gangnam is where luxury-brand flagship outlets for Prada, Boss, Gucci, and Louis Vuitton, to name only a few, are clustered. All of which provide a glimpse of the latest trends in high fashion. The word “Rodeo” is borrowed from the Beverly Hills fashion street, Rodeo Drive, and it is seen as the most splendid fashion street in Seoul. 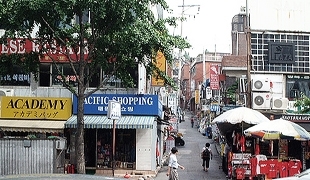 Apgujeong Rodeo Street is differentiated itself from other shopping streets with shops of local and international designers. 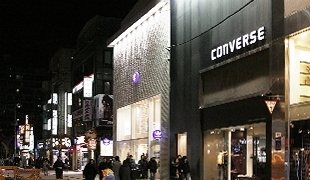 Cheongdam Fashion Street is known to be the major shopping venue for fashionistas. 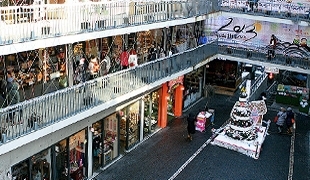 Recently, it has been designated as a Special Fashion District and is the only one of its kind in Korea. This special fashion zone is creating a new cultural code as fashion lovers and culture meet. It is a popular tourist area among Japanese tourists, due to Hallyu (The Korean Cultural Wave), and the area has famous restaurants and cafes that are located in its back alleys. Korea is a country that boasts 5,000 years of history. It has produced countless artists and master craftsmen and various artistic styles in each of its main eras. Itaewon is a unique place in Seoul where visitors can meet people of diverse nationalities and cultures and enjoy international foods from around the world. A beautiful Mosque is located in Itaewon as well. Visitors can buy Korean furniture at reasonable prices, as well as unique accessories from Europe, Japan, China, and western Asia. Dapsimni has been lined with antique stores since the 1970s, and ancient works of art or antiques have been frequently traded here. With the development of Cheonggyecheon (Stream) in the early 1980s, an antique shopping mall started to form here. 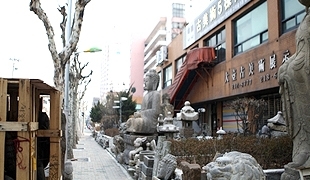 The mall features a wide variety of antiques in every price range, from 1,000 won to 10 million won. Recently, Korean antique trading has decreased while Chinese and South-East Asian antique trading has greatly increased. The number of visitors, who include antique lovers, overseas tourists, and families enjoying an educational experience, has also been steadily increasing. Samcheong-dong is Seoul’s most stylish area and is located just past Gyeongbukgung Doldam-gil. Its idyllic scenery and leisurely atmosphere make visitors feel as if they are in a whole different world. 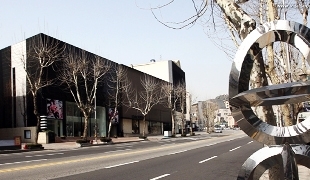 Owing to the reasonably priced real estate, artists started to flock to Samsheong-dong and opened workshops, designer shops, museums, and galleries. People come to Samcheong-dong to take photos of colorful mural art, to relax at hanok cafes, and to appreciate works of art at galleries or museums. Insa-dong is one of the most visited places by foreigners in Seoul. It is a center for arts and crafts and has a long tradition. Even the sign for Starbucks has been changed to Korean. Due to rampant incidents of fake antique paintings and books being sold in the 1970s, many antique stores moved to Insa-dong to ensure fair trades. All of which have formed the current street. Several traditional restaurants and teahouses in the back alleys are particularly popular among foreigners.